The auditor has an existing relationship with the manufacturer of Celotex, the cladding supposedly used on the tower. Further concerns emerged over the weekend about the Grenfell Tower inquiry after KPMG were dropped in their role of assisting with the groups duties, as there were fears about potential conflicts of interest. Many prominent individuals, among which include Labour MPs Clive Lewis and Emma Dent Coad, were vocal about the ability for the inquiry to carry on whilst the involvement of KPMG continued. This was in response to the company’s existing association with the parent company of Celotex, makers of the insulation on the Tower, and also with the Royal Borough of Kensington and Chelsea – both of which have faced significant condemnation for their role prior to, during and after the fire. “We have therefore mutually agreed with the Inquiry that we will step down from our role with immediate effect,” they added. However, these concerns over potential conflicts of interest are merited given the information that they would gather about the Inquiry and the information they already possess about both Celotex and the Royal Borough of Kensington and Chelsea. The mutual agreement ending the involvement of KPMG between the parties was done in a respectful manner with KPMG waiving the fees for work completed until this point. This is not the first time there have been doubts over the Inquiry’s ability to represent the interests of the victims and those affected by the atrocity. 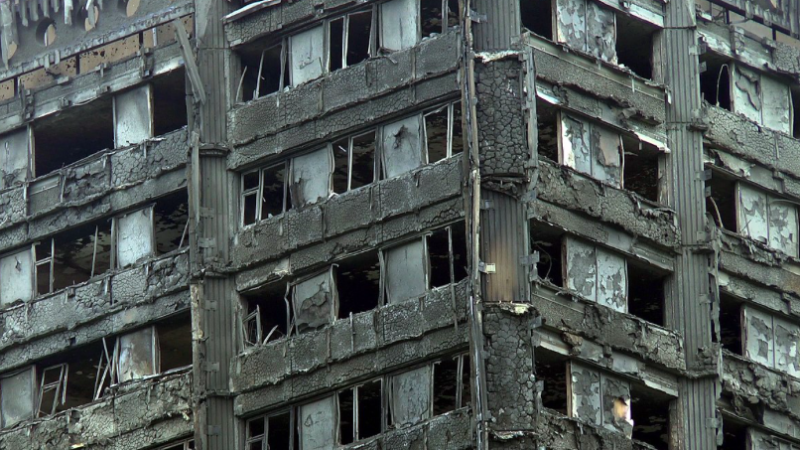 Last August, Sir Ken Knight, who leads a government fire safety panel, caused controversy after concerns were raised about his involvement in certifying cladding that was similar to that used on Grenfell. Many were fearful over whether he would be, like KPMG, totally impartial in his work on securing justice and answers for the residents of Grenfell. Despite this, he remained in the role. Residents are still cynical about the suitability of the inquiry to successfully represent their views and come to a sufficient conclusion. When Sir Martin Moore-Bick was appointed to lead the Inquiry, many of those affected believed a more diverse personality should be selected so that all residents of Grenfell were better represented. Moore-Bick was also accused of facilitating social cleansing in a case where he gave permission to a London council to rehouse a tenant several miles outside of the capital. Subsequent to his appointment, Martin Moore-Bick called for a ‘vigorous investigation that gets to the truth as quickly as possible’. Yet, with further and apparent persistent concerns about the capacity for the Inquiry to represent the victims, such an outcome will prove hard to achieve. The aftermath of the atrocity demonstrates that the ignorant attitudes the residents were faced with before the fire have not gone away, and the concerns raised about the Inquiry highlight the disgraceful treatment they are still enduring to this day. George Cook is Deputy Editor and Comment Editor of Gair Rhydd, Cardiff University’s student newspaper. The government seem to be going out of its way to insult the survivors of Grenfell and their relatives. A failure of an awkward Mrs May to talk to the local people after the catastrophe, a refusal to send in commissioners when there was clear evidence of a breakdown in both political and officer management of RBKC, the appointment of Moore-Bick who seems unacquainted with the meaning of “empathy”, the failure of the Council to find permanent accommodation for all but a small percentage of the survivors and now this gaff which I assume was unintentional. Mrs May has form when it comes to appointing an unsuitable chair.